As we wrap up our annual training of our new leadership teams during our Chapter Success Workshops we want to be sure and thank our current teams for all their hard work and support over the last year. 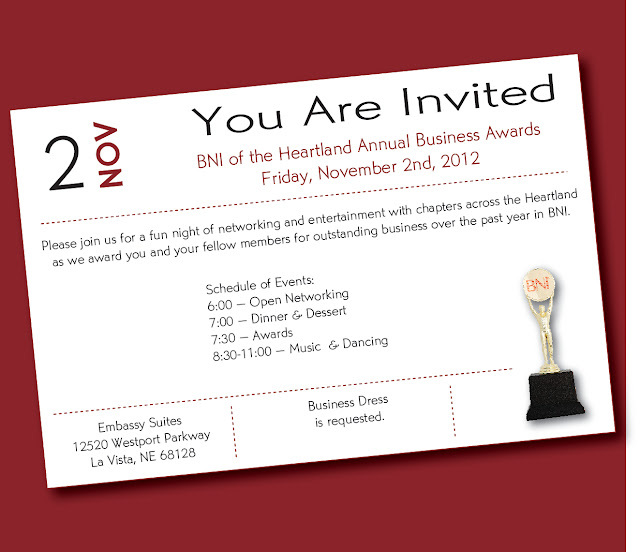 Also, as we transition to our new leadership team we want you all to reserve Friday, November 2, 2012, in your calendar; the date of our 2nd Annual BNI Heartland Business Awards. A focus of this year's event will be where we have come, as a Heartland Region over the last 5 years. We will spend time recognizing ALL of our members who have been with us at least 5 years. Some of these members will be recognized for as many as 15 years in a chapter. If you were unable to attend our Inaugural Awards last year, you will not want to miss this year's event. If you were in attendance last year, please spread the word. There will be a few new twists as well this year with our awards categories. 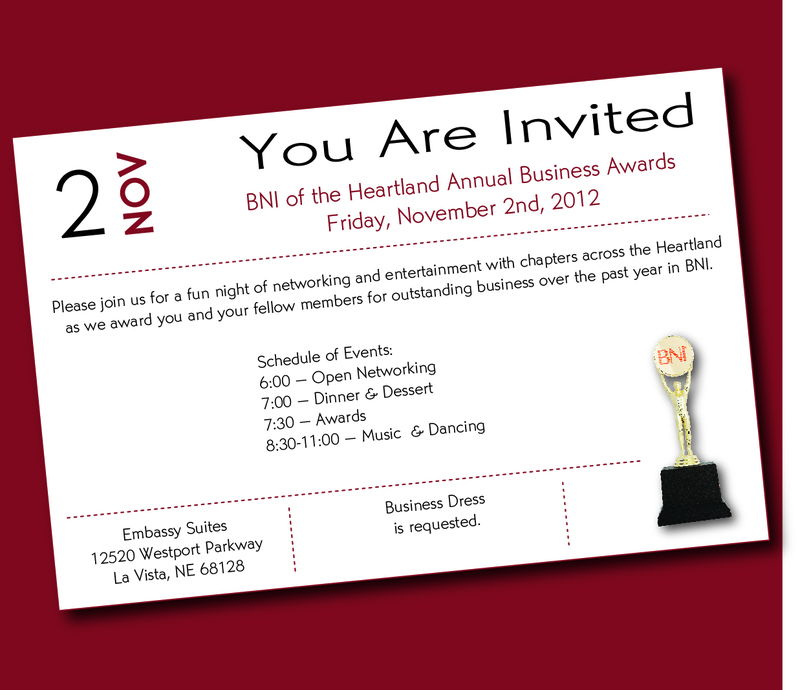 We look forward to seeing you Friday evening, November 2nd!! !